The Art of Communication: What You Need to Know to Win that Interview! Communication is your ability to listen and deliver certain messages or information in a clear, accurate way. Therefore good reading, writing, speaking, and listening skills are important to achieve your goals. We live in a small village thanks to the power of the internet, that’s why good verbal and written communication skills are essential in our hectic world. This has been a topic of interest for many generations and some have even gone as far as to call it the art of communication. The art of communication is like the brushstrokes the painter uses to create a wonderful eye capturing masterpiece, typically, as master of the art of communication, you will be able to deliver whatever message you need to deliver to the surrounding people every time you speak. This is precisely what the art of communication is all about. It is the way you are able to interpret your emotions into words. Verbal communication: This form of communication includes the use of sounds and language in order to convey your intended message. Non-Verbal communication: This includes everything else other than words like the posture, appearance, body language and eye movements of the speaker which helps emphasize the message being conveyed. Understanding the Tools of the Art of Communication? There are many tools for communication that you’ll have to understand in order to master the art of communication. The better you become at using these tools, the better you’ll be at communicating.Ultimately, it is very easy to become a master of communication, all you need is a little practice. Mastering your body language and tone will ensure that you will always be able to efficiently get your message across which is considered a success in communication. Words are very powerful when used correctly. They have the power to build or destroy, words can build bridges that allow people to reach a level of understanding. Words can also destroy relations. So one should be very careful when choosing their words because people are usually judged by the words they use. This is why it is important to choose your words wisely and always try to use colorful and rich words in order to captivate your audience. However, you need to ensure that your words remain clear and easily understood in order to avoid any confusion. Words that communicate positive values and optimistic words are words of strength that will help you reinforce your opinions and convince your audience of your message. Using appropriate words to put forward your point of view makes you a master at the art of communication. On the other hand, misuse of words may lead to the formation fo a negative correlation that will only serve to further weaken a person’s message. Choosing an appropriate vocabulary usually reveals your level of language proficiency. For example, an expanded vocabulary sets you apart which enhances the process of communication allowing you to convey your message to a large audience with great accuracy and efficiency. In order to communicate better, you should choose your vocabulary according to your target audience. For example, you should use an expanded vocabulary when addressing professionals while a more basic vocabulary might prove more effective when addressing an uninformed audience. When it comes to your tone when delivering a speech, it is important to avoid monotony as it creates a sense of uninterest in the topic. Instead, your tone should be changing according to the context of the speech in order to captivate the attention of your audience which ultimately ensures that a large portion of your speech was taken in by the audience. The speed of your speech tells others a lot, speaking slowly communicates thoughtfulness which implies that you want others to hear and understand your message while speaking fast communicates that you are excited, encouraging your audience to be interested in the topic at hand. When working on pacing your speech, it is often helpful to have a listener that you can observe in order to change your pace accordingly to their reactions. After all, having a connection with your audience will ensure that your pace is perfect. Similar to your tone, emotions are a very effective communicator. in fact, it is vital that you only show emotions without getting emotional. If you can control your emotions you will be an extremely effective communicator. For example, laughing will communicate that you have a fun side while frowning will communicate that you have an empathetic side. This clearly makes it a very powerful tool in helping you deliver your messages. This is arguably the hardest verbal communication skill to master. In order to ensure that the listener clearly understands your message, you need to ensure that you are speaking clearly making communications easier as a clear pronunciation of the words makes it easily understood by the audience. Changing body position (sitting, standing or kneeling) during presentations can have a huge effect on the nature of the message being sent across. For example, sitting creates a more casual, laid-back environment while standing gives the impression of seriousness and professionalism. It is well known that “Eyes are the window to the soul”. Looking into the eyes communicates caring. It is a sign of respect and understanding. On the other hand, speaking with others while looking around communicates a lack of interest. Your Arms are another important factor when it comes to non-verbal communication. When it comes to arm body language, there are a few strategies that are commonly used. The first being expanding where your arms help you appear larger in an attempt to reach out to your audience. This can either have a friendly or threatening effect depending on the context. Actions like crossing the arms while speaking communicates fear, closure, and defensiveness which implies that your argument is weak. Likewise, hiding your arms while speaking gives the listener an impression of dishonesty and deceit as if you were hiding something. It is important to use the hands to communicate for illustration as keeping your hands by your side communicates stiffness and the feeling of uncomfortability. While dynamic movement of your hands will keep the audience engaged and interested in what you have to say. Why Is It Essential to Improve Your Communication Skills? Gives you time to think over the words said to you and help you understand the group/person you are communicating with. Provides you the chance to decide the perfect approach to the group/person you are communicating with. Emotionally prepares your target group/person to listen to you since you listened to them carefully, because it is well known that people want to be heard, so if you give them 100% attention they will give you theirs. Provide you with enough time to take notes instead of relying on memory alone to be able to analyze it later. Knowing the group/person you are communicating with. 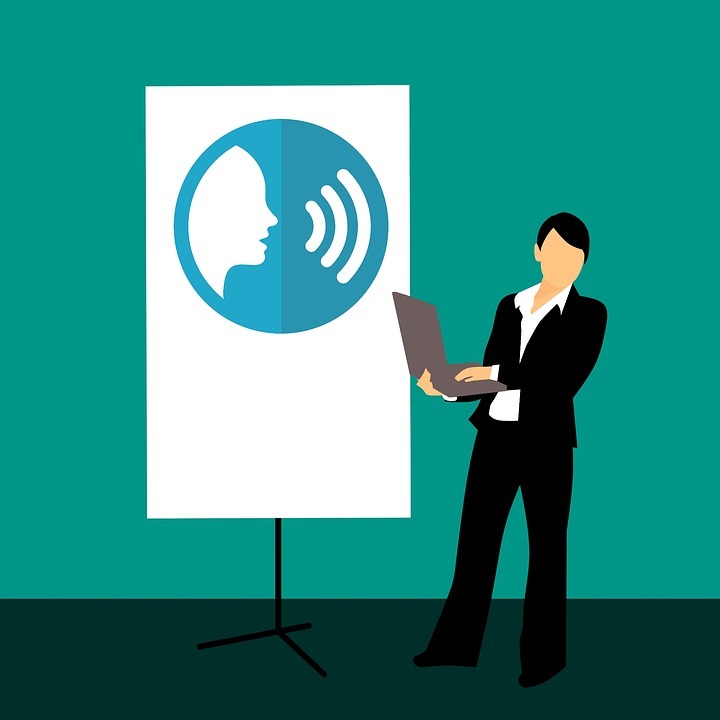 Listening will ultimately allow you to accurately identify your audience which will help you communicate with them better by adapting the techniques that most suite them. For casual discussions, you’ll be taking a more laid-back approach while in a professional environment you will be trying to convey a message of confidence and certainty. Having a positive attitude and smiling while talking to others makes people respond positively. Being self-confident, brief and precise leads you to provide enough information for this group/person to understand your messages.Finally, you should make sure to give equal attention to everyone, treat everyone equally and never talk down or underestimate anyone. The art of communication has been a topic of interest over several decades due to its extreme power. By mastering the art of communication, you can ensure that you effectively get your message across to any sort of audience which will guarantee you more opportunities in life. We’ve discussed the two main aspects of communication. The first being verbal communication which focuses on your voice and the language which you use which not only captivates the audience but ensures that they fully understand the message. Second, there was the non-verbal communication which acts a compliment that reinforces your message through body language in order to establish your presence. Mastering this skill is essential to the success of both your personal and professional life as it provides you with many opportunities that you would otherwise not have. This is why it is important to always practice your communication skills in order to always be ready to use them. For more articles regarding helpful personal skills, check out our article about leadership training programs.